The upcoming smartphone app will give players a fresh look into their Splatoon 2 stats. Announced today during the Splatoon 2 Nintendo Direct, Splatoon 2 will see the launch of SplatNet 2, an app available via Nintendo Switch Online. Players will be able to utilize SplatNet 2 to track their online stats and performance in online battles. The app allows you to check out your last 50 battles, including your win to loss ratios for certain stages as well as the total area you've splattered ink all over, or your "lifetime inkage." There's also information like stage schedules, gear and stats you've used, and ways for players to keep in touch with their Splatoon 2 business while away from their Switches. 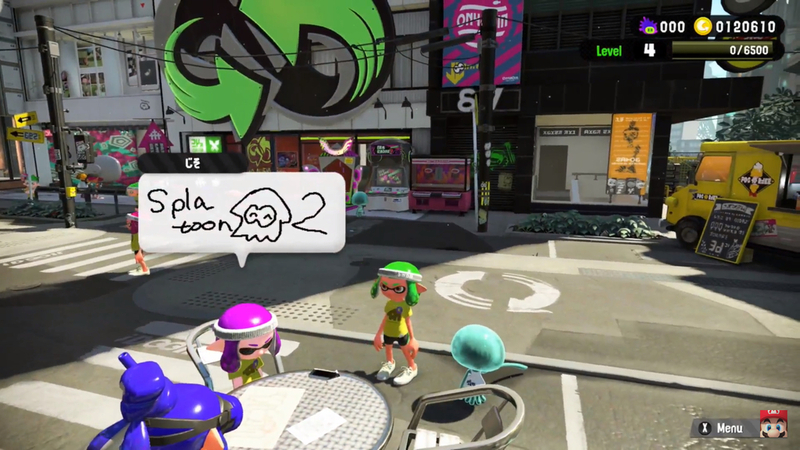 Also, as seen in the Direct, it looks as though there's some sort of additioonal Miiverse-like functionality included where players can post artwork for other players and artwork on the ground and walls, as referenced in a previous interview with Game Informer between Splatoon 2 producer Hisashi Nogami and Lead Programmer Shintaro Sato. If you're planning on making a big splash with Splatoon 2, you'll certainly want to take advantage of these new augments meant to make multiplayer even simpler. We've yet to try out the Nintendo Switch Online app just yet, but it sounds like it'll feature a fairly robust set of options. I'm more confused than ever. What is the relationship between this and the upcoming app that runs the Switch's core online service? So, is it going to be SplatNet for every Switch online game? Or does every game require a different app to organize online parties? Whatever is the dumbest option? I believe the Switch app will be the main thing for partying up. Only way this makes sense is if the Switch app supports per-game branding with extra functionality on top of the baseline voice, groups, etc. But that seems too advanced for Nintendo's first attempt.